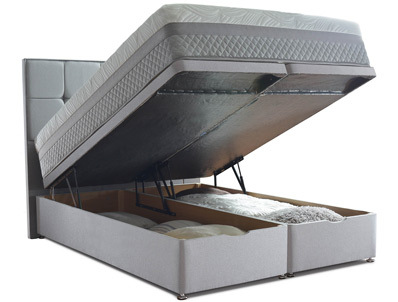 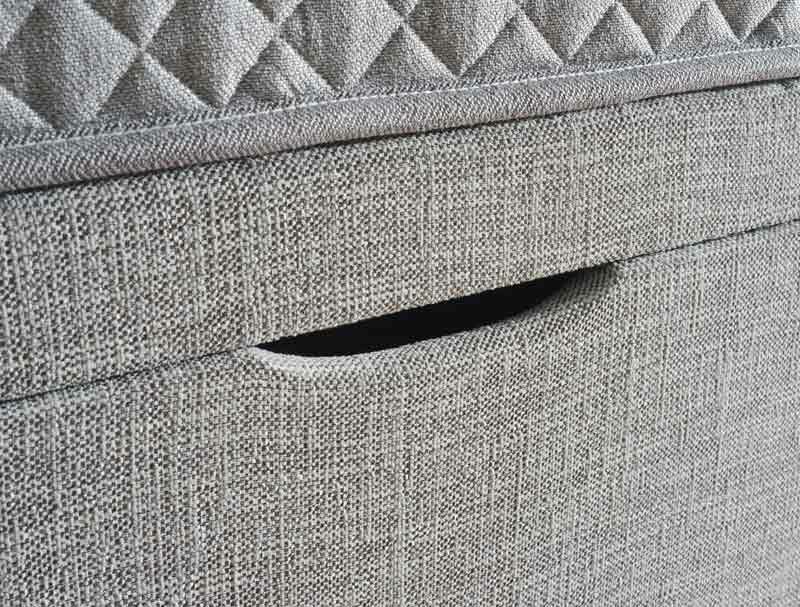 Sealy have introduced a new End open ottoman bases for 2019, This one is the standard self opening ottoman base , The base is powered by 4 strong gas struts on double, king and super king size base , which easily lifts any sealy mattress up to 50Kg, we would suggest not purchasing this bed for any mattress heavier than 50kg. 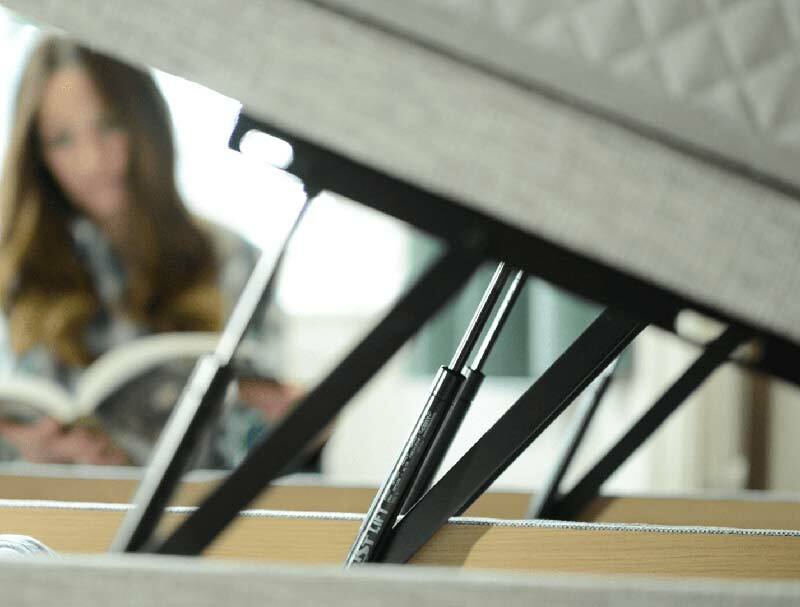 All bases are made in 2 ready assembled pieces and are easily assembled in 30 minutes inyour room of choice. 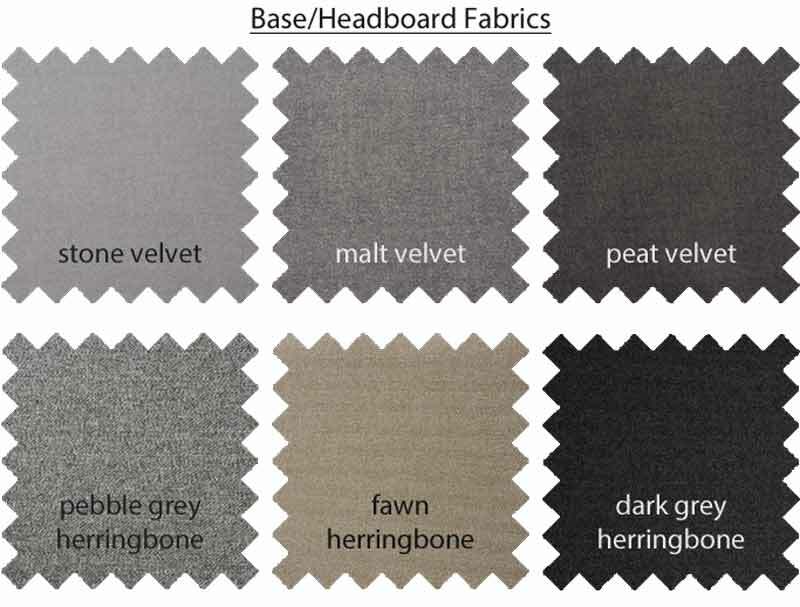 The base is available in 4 sizes and 4 colourways. 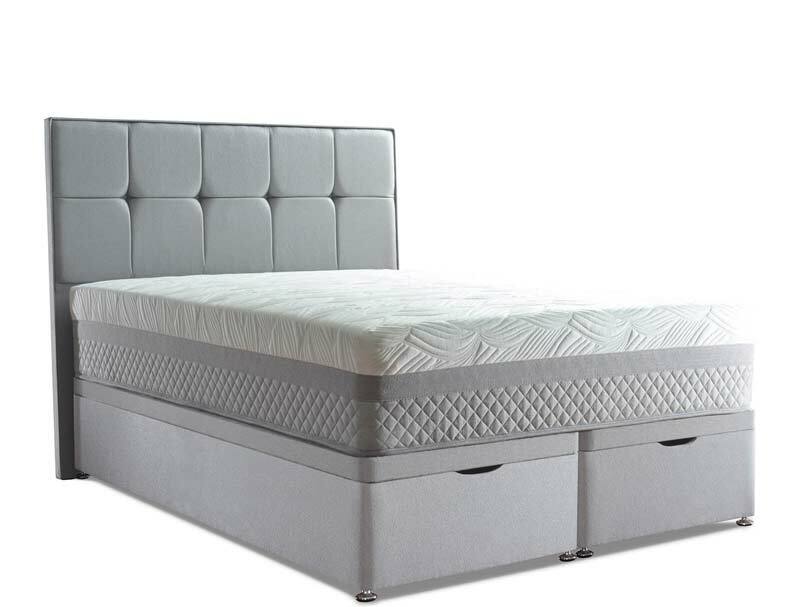 The Headboard and mattress pictured are for illustration only , The mattress is a Hybrid gel 2800 and the headboard is a floor standing lindisfarne both of which are available separatley.